That it was made from Bronze/brass representing God’s judgment against sin; and acacia wood representing the incorruptible humanity of Christ. As we saw in the last post, the altar was a place of shed blood, a place of death. The place where God’s judgment on sin was poured out upon the innocent animal, whom took the place of the sinner. 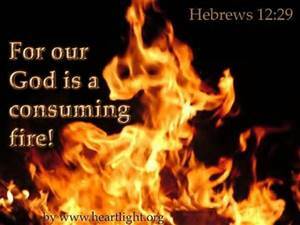 There the blood was poured out and the fire of God consumed the sacrifice. Of course at the cross Jesus’ blood was shed and He took the judgment and wrath of God upon Himself for our sins. Jesus’ death upon the cross fulfilled all of the Old Testament sacrifices and did away with them once and for all. Once an animal had been sacrificed on the altar, the remaining ashes and the offal were taken outside the Israelite’s camp to be discarded and burned. This also points to Jesus Christ who suffered “outside the camp”. 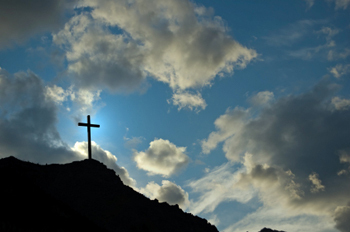 Calvary was outside of the walls of Jerusalem in a place of shame. Horns signify the strength or power of the animal. The altar had one on each corner. The animal sacrifice would be bound to the Brazen altar by these four horns. So too was Christ nailed to the cross. 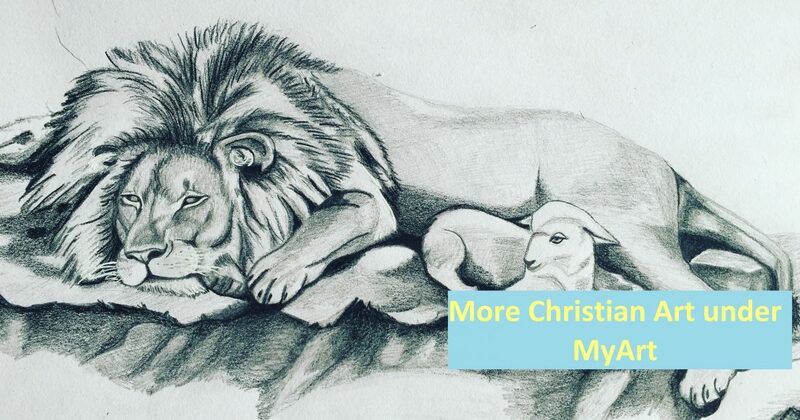 Whilst the animal that was sacrificed had no choice in the matter, Jesus Himself did, and He willingly laid down His life for us. The four horns of the corners of the altar speak to us of Christ’s sacrifice being for all of humankind – the power of His grace extending to the four corners of the earth. They also signify the power of the gospel going out to the four corners of the earth. It was unacceptable for man to light his own fire, in fact it was a crime was punishable by death. We see this with Nadab and Abihu upon whom the judgment of God fell when they tried to offer profane fire (Leviticus 10). This is a very clear picture for us and one we do well to heed. You see God has a proscribed way of worshipping Him. It is always on the basis of the blood of substitutionary atonement. It is always and only the way of the cross. God sending the fire of judgment upon the Brazen Altar was His acceptance of the offering presented there. God’s fire of judgment falling upon Christ at the cross showed forth His acceptance of His Son as the perfect offering for sin. Our sin was judged at the altar of the cross by the divine fire and because of that we are able to stand before God. If we bypass the fire of that altar, then we are choosing to stand before God apart from the death of Christ and be judged according to our own works. Of course the judgment that has to fall on the flesh is death because “the wages of sin is death”. God commanded that this fire was to never go out. The fire was lit sovereignly by God but was to be maintained by man. It was to never go out and so it was the responsibility of the priests to bring the wood every day to keep the fire burning for the morning and evening sacrifices. We saw previously that the fire signified God’s judgment on sin. However this fire also speaks to us of the Holy Spirit. When we accept Christ as the divine substitution for our sin, and subsequently lay down our lives for Him, God sends the Holy Spirit to live within us. The basis for the Holy Spirit coming to live within us is always the altar or cross of Jesus Christ. It can never be initiated by us and our fleshly good works. His divine life enters our spirit by His Spirit only when we have been to the cross, and suddenly a fire is kindled within. Although God sovereignly ignites the spark it is our responsibility to maintain the divine fire every day, just as the priests did. We are to pray and read the Word of God daily. This is the way in which we keep the fire of God burning within. Categories: Jesus and The Tabernacle | Tags: Altar, brazen, bronze, Christian, Christianity, cross, Jesus Christ, Tabernacle of Moses, teaching, typology | Permalink. through the Mosaic Covenant God showed forth some wonderful eternal truths pointing to His Son and the Church. It is worth looking into these things because it adds layers and depth to our faith as God reveals these truths to us by His Spirit. (or bronze) altar of the Tabernacle of Moses and we saw that the altar was a picture of the cross of Jesus Christ. In this post we will look at the significance of the blood of the altar and how this points to Christ’s atonement for us. Having just been confronted with the 7.5 feet high linen walls of the Tabernacle, signifying God’s holy righteousness, the sinner enters through the one and only entrance of the Tabernacle – the Gate. Now the first piece of furniture he encounters is the Brazen Altar. Imagine standing in front of this piece of furniture. This is where where many, many innocent animals had been slain for the sins of the people. It was not a pretty picture. It was most likely intimidating. The altar was the place of death and blood. The place where the full penalty of sin became gruesomely obvious. “For the wages of sin is death” (Romans 6:23). 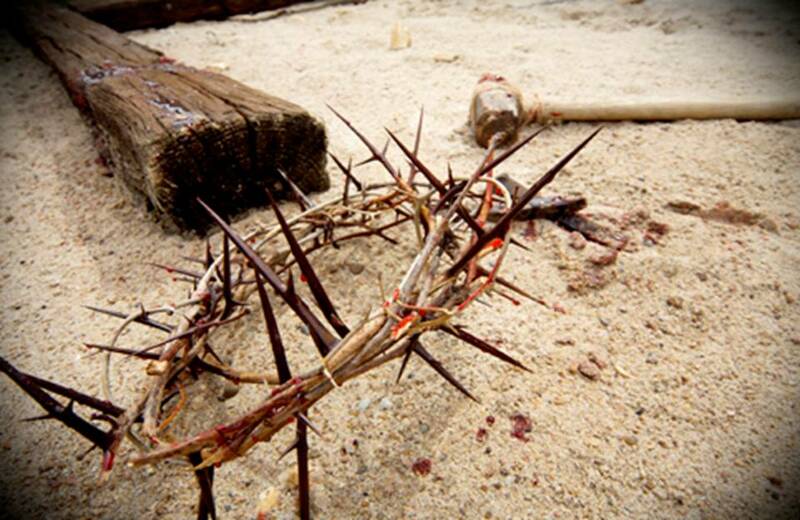 It represented sacrifice, death and blood atonement. For the sinner to proceed any further into the Tabernacle, innocent blood would need to be shed upon this altar on his behalf. Any attempt to bypass this step and approach God without blood would have resulted in death. No one, not even the High Priest, could approach the Lord except on the basis of innocent shed blood. The altar demonstrates that the only way a person can meet with God is on the basis of substitutionary atonement. On the basis of BLOOD. In fact, the Mosaic Covenant became known as the “Blood Covenant” (Hebrews 9:19, 20) due to the huge number of animals that were sacrificed. “This elaborate sacrificial system with its multiplied continual sacrifices was given for two major reasons. First, it was to illustrate that no amount of continued animal sacrifices could effectively take away man’s sinfulness. 5. 10th of an ephah of fine flour: for the very poor Mandatory atonement for specific unintentional sin; confession of sin, cleansing from defilement. At the cross Jesus’ blood was poured out and He took the judgment for our sins upon Himself. All of the animal sacrifices upon the altar pointed to the ultimate sacrifice of God’s perfect, blemishless Son, Jesus Christ. Jesus death upon the cross fulfilled all of the Old Testament sacrifices and did away with them once and for all. Categories: Jesus and The Tabernacle | Tags: Altar, brazen, bronze, Christian, Christianity, Covenant, Jesus Christ, new, old, study, Tabernacle of Moses, teaching | Permalink. more on the Brazen Altar, in order to attempt to cover as much as possible its incredible importance and typology. Firstly the word “altar” means “slaughter place”, “high” or “lifted up”. In Jesus and the Tabernacle Materials we looked at the materials used in the construction of the Tabernacle. 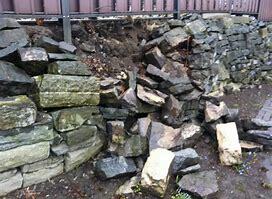 We saw that each material was deliberate and represented something important. God gave Moses the exact measurements for everything in the tabernacle. Nothing was left to chance or Moses’ own decision. God specified that the Altar was to be 5×5 cubits wide and long. It was to be 3 cubits high. It had 4 horns, one on each corner. 3 is the number of the Godhead (ie, the trinity: God the Father, God the Son and God the Holy Spirit). As noted earlier the word “altar” means “slaughter place”, “high” or “lifted up”. When Jesus was crucified He was the offering for sin upon God’s appointed altar – He was lifted up from the earth upon the cross. Categories: Jesus and The Tabernacle | Tags: Altar, brass, brazen, bronze, Christian, Christianity, cross, Jesus Christ, point, Tabernacle of Moses, teaching | Permalink. In Jesus and the Altar of Incense we saw that the Altar itself is a type of Christ, pointing the way to Him. Each spice had to be crushed to a fine powder before it was added to the incense. Christ was “wounded for our transgressions, bruised for our iniquities”. He was smitten, stricken, crushed. His perfect, sinless life poured out. This points to “death to self”, the humbling of the believer. Salt was added to the incense – salt is a seasoning and a preserver Salt points to the holiness of Christ and the flavor of His life. The Church is the salt of the earth –a preserving agent. 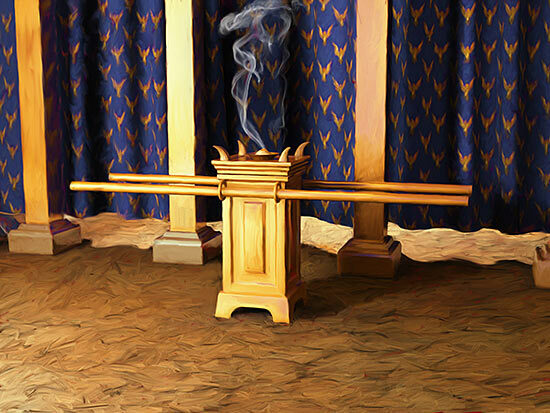 The incense was burned on the altar in front of the Ark of the Testimony. Christ went through the fire of affliction in His sufferings and ultimately His death on the cross. Our faith is tried by the fire of affliction and suffering. No strange incense was to be offered on the altar, nor was anyone to make for themselves the incense. It was to be holy to God. Points to Jesus being the only Way to the Father, there is no other Name under heaven whereby man can be saved. It’s only through faith in Christ that we are saved. We are to have no other gods before Him. We are to pray in Jesus’ Name. The incense was to be “perpetual…before the Lord”. Points to Jesus as our High-Priest “who ever lives to make intercession for us.” We are commanded to “pray without ceasing”. Our life is to be a perpetual prayer unto the Lord. 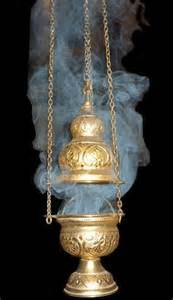 Incense is simply an Old Testament shadow or type of prayer and intercession. God is no longer interested in the shadows or types, but rather in the eternal realities to which these shadows point. He is extremely interested in the prayer and intercession of His Church. For the life of a believer to be truly saturated in prayer is well-pleasing to God. Categories: Jesus and The Tabernacle, Prayer and the Priesthood | Tags: Altar, Christian, Christianity, church, Incense, intercession, Jesus Christ, New Covenant, Old Covenant, prayer, Tabernacle of Moses, teaching | Permalink. The Tabernacle of Moses was built as an earthly copy of the true, heavenly Tabernacle. 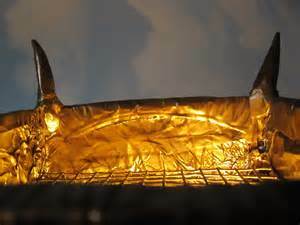 As the earthly, temporal priests ministered at the earthly Golden Altar, (or the Altar of Incense),on behalf of the Israelites, so too our eternal Great High Priest ministers at the true Golden Altar in Heaven, on our behalf. The ministry of the priesthood in the Tabernacle of Moses points to Jesus Christ’s ministry now as our Great High Priest. 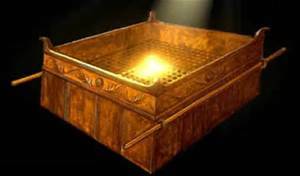 Understanding the principles concealed in the Tabernacle of Moses unlocks so many wonderful eternal treasures about the One we love, Jesus Christ. It also relates to us as believers in our ministry of prayer and intercession. It was made of acacia (or shittim) wood. Acacia wood was a very durable, non-decaying wood. Wood points to Christ’s human nature.Non-decaying wood points to His incorruptible, sinless humanity. On the Day of Atonement blood from the Sin Offering was applied to the horns of the altar and sprinkled seven times. It is Christ’s blood that was shed on Calvary (or the Brazen altar) which forms the foundation of His ministry of Intercession. The blood of Jesus allows us to stand before a Holy God and gives power to the incense of prayer. It had a crown (or moulding) of gold around it. Points to Christ being the King-Priest The Church joins Christ in His King-Priestly ministry as a kingdom of priests. It was in the Holy Place, in front of the veil, before the Ark of the Testimony. It was the nearest piece of furniture to the Shekinah Glory of God. Points to Christ’s earthly life of prayer and His ascension to the presence of God in His High-Priestly ministry. Points to the place of prayer being the closest place to the presence of God. Categories: Jesus and The Tabernacle, Prayer and the Priesthood | Tags: Altar, Christian, Christianity, church, Incense, intercession, Jesus Christ, New Covenant, prayer, Priest, Tabernacle of Moses, teaching | Permalink. This verse jumped out at me the other day as I was reading that most mis-understood of books, Leviticus. I’d like to share with you what God brought to my heart. Leviticus 6:8-13 is the record of the law of the burnt offering. This is Old Covenant stuff yes, but the principle presented here is eternal, and is recorded for our benefit. God is here setting forth His commands to the priest, Aaron and his sons. All believers are now priests unto God under the New Covenant, so there is something here for us. Where does the fire come from? It is a divine fire, lit by God Himself. The fire must be lit by God to be holy. God will never accept our self-effort, it is a “profane fire” to Him. The fire must be initiated by Him and comes from Him alone. We see on the Day of Pentecost the fire of God settling upon each of those in the Upper Room (Acts 2:3). This was fire sent by God, as John the Baptist had prophesied “I indeed baptize you with water unto repentance but He who is coming after me is mightier than I… He will baptize you with the Holy Spirit and with fire.” Matthew 3:11. So we see that God will never accept fire, or works, initiated by man. However God does require man to play his part too. Whilst the fire is initiated by God, God gives the responsibility to maintain the fire to man. God will never do for us what He expects us to do ourselves. So He commands the priests to keep the fire burning, to not let it die out. Praying and spending time with the Lord, in His Word daily keeps the fire burning. “…and lay the burnt offering in order on it…” Leviticus 6:14. How? “You never have to advertise a fire. Everyone comes running when there’s a fire. Categories: Jesus and The Tabernacle, Teaching | Tags: Altar, Christian, Christianity, Covenant, Faith, false religion, Fire, holiness, Holy Spirit, leviticus, Moses, profane, tabernacle | Permalink.